I promise to use it only to send you Coffeelogy. 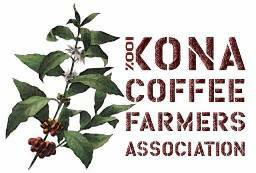 What Make Kona Coffee Special? Apart from the beautiful beaches, hospitable people and lush forests, another thing that Hawaii is proud of is a coffee variant that is exclusively produce in their islands is the Kona coffee. This coffee is proven to be one of the purest coffees in the globe. Kona entails a good amount of water and sunlight that only Hawaii’s warm weather can provide. It is harvested by means of the hands ensuring only the finest green coffee beans. The berries will turn red in color if it is ready to harvest, dried in the huge terraces, and then it is pulp off to eliminate the outer covering of the Kona beans. Seriously, I do not really care if you get some beans coffee or instant coffee, we simply give you the money to get your free coffee. If you are still clueless, you would need to click on the link to learn more about it. It is then hulled prior to being sorted by a machine into different grades depending on their size. After the sorting method, they will undergo the coffee roasting procedure to the coffee roaster equipments and sealed into a container to maintain its freshness. The Kona beans are categorized in relation to the type of seed. The Type I beans comprises two beans for each cherry, oval on one side and flat on the other while the Type II beans includes a single round bean for each cherry, otherwise referred to as peaberry. Advance grading of these two types of Kona beans depends on content, size, moisture and size and purity of bean type. The Type I kona coffee grades are Kona Fancy, Kona Extra Fancy, Kona Prime, Kona Number 1 and Kona Select. On the other hand, the Type II Kona coffee grades are Peaberry Prime and Peaberry Number 1. There is also a much lower Kona grade classified as Number 3 which cannot officially be labeled as Kona. Kona coffee is one rare coffee that is respected by gourmets and coffee enthusiasts. The distribution is limited for this exceptional coffee for the reason that it is pernickety to grow and must cover the exact combination of soil and climate as well as mild evening temperatures with warm morning and enough afternoon precipitation to grow well. This strict ways to grow Kona beans makes it exclusive in the market. And that is the reason why Kona coffee is very expensive. So much so, that most blends only put in a small of it. A coffee is certified Kona as long as it has 10% and that is why you see plenty of 10% Kona labeled at supermarket. If you are looking for an easier way to enjoy this or any other specialty coffee, one way is via coffee pods. Learn more about in that link.